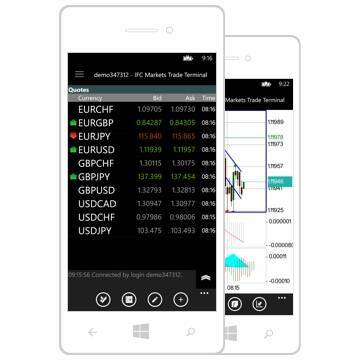 The mobile trading terminal NetTradeX Windows Phone 1.2.0 is part of NetTradeX trading terminal and has full functionality for trading in financial markets (Forex, indices, commodities, stocks). NetTradeX Windows Phone trading platform is aimed at transferring your trading to any device with Windows Phone 8.0, 8.1 or Windows 10 Mobile operational systems. The platform has full basic trading and administrative functionality of full-weight trading platform. Main features of the terminal may be found in NetTradeX Windows Phone user guide.